Port Lincoln, South Australia, Australia, 18-20 April 2012: Professor Ghil‘ad Zuckermann (middle back row) with participants in one of the Barngarla Aboriginal language reclamation workshops. A new word ‘revivalistics’ has recently been introduced to the field of linguistics terminology. The word invention all began with a fantastic, on-going revival in the Barngarla language of South Australia’s Eyre Peninsula. The awakening of the Barngarla language finds its origins in the collection of the endangered memories of elders and a 169 year-old dictionary written by a Lutheran missionary. The reclamation programme is led by Professor Ghil‘ad Zuckermann, an Israeli-born world-renowned linguist and Chair of Endangered Languages at the University of Adelaide, Australia. 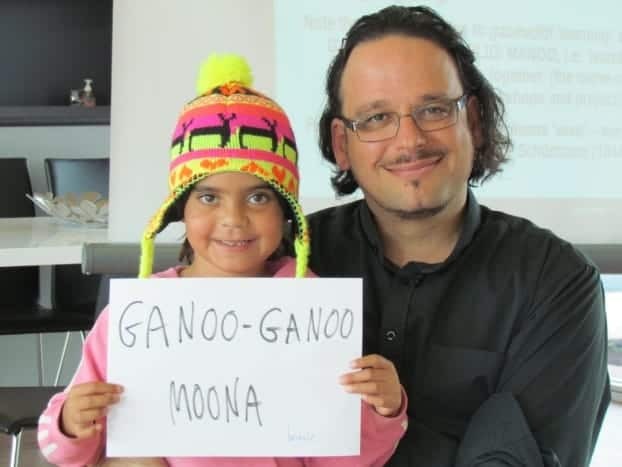 Assisted by Australia’s Office for the Arts Indigenous Languages Support, and collaborating with the Mobile Language Team of the University of Adelaide, Professor Zuckermann holds Barngarla Aboriginal language reclamation workshops in three towns: Whyalla, Port Augusta and Port Lincoln. Jin: Why did you select the Barngarla language for your revitalisation programme among more than 200 sleeping aboriginal languages in Australia? Revivalistics – including Revival Linguistics and Revivalomics – is a new interdisciplinary field of enquiry studying comparatively and systematically the universal constraints and global mechanisms on the one hand, and particularistic peculiarities and cultural relativist idiosyncrasies on the other, apparent in linguistic revitalization attempts across various sociological backgrounds, all over the globe. The other task has been to adopt one specific community whose language is a sleeping beauty and there are still resources available that can facilitate revival despite the obvious obstacles and hurdles and the need for reconstruction based on neighbouring languages, and neologisation, the concoction of new terms for modern concepts. Then I searched all Australian languages, focusing on South Australia, and discovered that the Barngarla language was a special case. Barngarla communities live in rural towns. For revival of languages in urban areas, what you need to do is just to invite people to come around. But for Barngarla, I have to travel to various places. Altogether, to reclaim Barngarla is a much bigger challenge than to reclaim a language in the city. 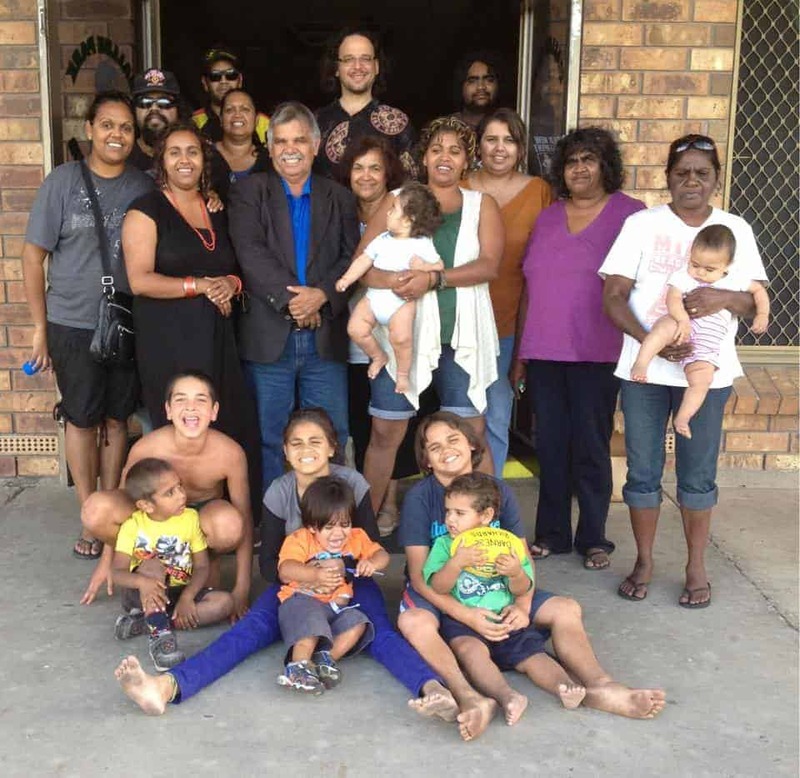 Like many Aboriginal languages, Barngarla has complex grammar and rich vocabulary. For example, it has 3 words for ‘shark’. It has a very high number of pronouns according to cases and number, e.g. singular, dual and plural. Then I found suitable material for the possible reclamation of Barngarla: a dictionary written by Clamor Wilhelm Schürmann, one of the first Lutheran missionaries to South Australia, 169 years ago, in 1844. I also found several minutes of interview audios recorded in 1960s by my friend Dr Luise Hercus. Jin: How do you use the legendary dictionary for revival? Professor Zuckermann: I use Schürmann’s 1844 Barngarla-English (only one direction) dictionary with caution and care. For example, consider a recent request from a Barngarla person for a Barngarla word for ‘dolphin’. The English word ‘dolphin’ does not appear in the Barngarla-English dictionary. But I discovered the word for ‘porpoise’, which most likely stood for ‘dolphin’: GADABI. My mnemonic for the Barngarla community was: The word for ‘dolphin’ GOT TO BE gadabi! I have also introduced a new spelling for Barngarla, which has been embraced by the Barngarla people. The reason is that Schürmann was both inconsistent, e.g. with r/rr, and user-unfriendly for the English, non-German, speaker. Jin: How do you create new words (such as ‘Computer’, ‘Internet’)? Is there any principle rule? Professor Zuckermann: The only rule is that the words are concocted by the community members themselves. I am aware of hundreds of neologization techniques and explore many of them in a book I published in 2003 entitled Language Contact and Lexical Enrichment in Israeli Hebrew (Palgrave Macmillan) and I explain to the Barngarla the various options such as calquing, phono-semantic matching and internal neologisation. For example, in a Barngarla Reclamation Workshop on 12-14 May 2013 in Whyalla, Eyre Peninsula, South Australia, when all participants were discussing how to create words in Reclaimed Barngarla, a little Barngarla girl with a colourful beanie came in and I asked if the Barngarla would like to create a Barngarla word for ‘beanie’. After a long discussion and weighing various options, the participants came to a consensus on the word ‘Ganoo Ganoo Moona’, literally translating as ‘warm/sheltered hat’. The participants then concocted a word for USB: Ngandyarnidi Googara, lit. ‘memory stick’. Jin: Is it really possible to reclaim a no-longer spoken language? Professor Zuckermann: My vision is optimistic. I have no problem with hybridity. Of course under the current technological devices, we cannot reclaim the language exactly as it used to be. For example, pronunciation and intonation are extremely hard to reclaim. ‘Not that there’s anything wrong with that’, as Seinfled said. The seven-minute interview I gave to Stephen Fry for his show “Fry’s Planet Word” on BBC is relevant in this context. To read more about Professor Zuckermann’s work and access the full interview, click here!